Any new or existing dog owners know that dogs are a bundle of joy, but the question is commonly raised about how to get dog smell out of the carpet. While usually, the smell is not very distinct and overpowering, there are slight subtleties that you tend to notice with time. Your carpeting is composed of a few layers that simply ingest and absorb the odors that come from your furry friend, which tends to permeate in your home with increasing time. For this reason, some homeowners have looked for ways on how to get dog smell out of carpet. 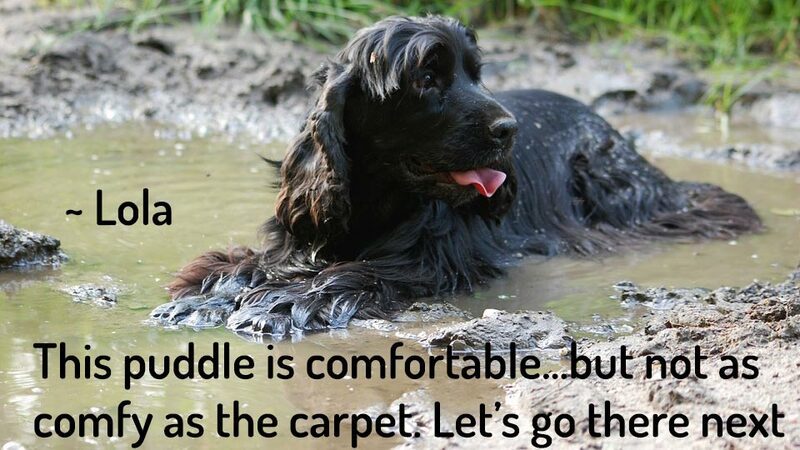 Before you get started on your mission to combat odors created by your dog, it is important to know what carpeting is and how it works. Simply applying water and soap to your carpet may seem like a reasonable way to eliminate the odor from your carpet, but sometimes this will not do the trick. Generally, cleaning certain spots in your carpeting can decrease the amount of odor to your carpet, but this is usually masking the odor. For this reason, products have been created to help fight off the odors in your carpet and some products are usual household items. Let’s take a look at some of the products that you can use for dog odors. Baking soda is one of the most versatile products you can have in your kitchen pantry. One of the main functions of baking soda is to act as a deodorizing agent, thus helping to strip odors from many surfaces in your home. This function is possible due to the active ingredient of baking soda, which is sodium bicarbonate. Sodium bicarbonate is a powerful neutralizing compound that brings the pH levels to where they should be. With that said, baking soda is great in the kitchen, on your tile flooring, as well as your carpeting. This is a simple way on how to get dog smell out of carpet. The use of baking soda on your carpeting throughout your house should be quite easy. First off, start off by thoroughly vacuuming your carpet to eliminate any and all dander that remains embedded. Next, sprinkle a thin layer of baking soda on your carpet, spread out over a wide area. Allow the baking soda to remaining on your carpet for a bit up to three hours so that it can absorb as much of the odor as possible. After you have allowed time for the baking soda to absorb the odors, vacuum thoroughly again to collect the baking soda and odor mixture. You may need to do a few sweep overs to ensure that you collected all of the baking soda. It’s essential that you do not allow your dog near the baking soda, as too much of this product can harm them. The use of baking soda is great for use on how to get dog smell out of carpet and many find this to be a quick fix. Some who use this method swear by it while others suggest that it is not a strong enough method for eliminating odors from the carpet. This is one of the easiest and cheapest methods on how to get dog smell out of carpet, but if you have strong odors to combat then consider something more powerful (or in combination with baking soda). Another common household product that is used for cleaning and odor elimination is vinegar. Vinegar is made of acetic acid, which is a strong acid that can destroy smells and fight off odor-causing bacteria. Some people tend to be cautious about using vinegar on carpeted flooring since the smell is quite harsh and strong, but the good thing is it should not cause any issues with your carpet. Once the vinegar dries, the odor vanishes and the dog smell has as well. If you want to know how to get dog smell out of carpet using vinegar then continue ahead. Vinegar is quite inexpensive to say the least and a large one-liter bottle should only cost you about a few dollars. Make sure to get a spray bottle, particularly one that adjusts the level of spray. Spray a fine layer of vinegar over your carpet and allow it to set in. If you have any areas where it is soiled and has a stronger odor, spray more in that spot. Allow the vinegar to dry and that should be the end of your dog odors. Many people looking on how to get the smell out of carpet should try this method because it is effective, but it can be worrisome at first if you have never tried this method. Similar to the baking soda above, it is important to not allow your dog to be exposed to vinegar, as the harsh acidity of the vinegar may cause issues with your dog. This is an effective and cheap way on how to get dog smell out of carpet, but if your carpet is thoroughly soiled then it could take a few times for it to work. Remember, if you have been living with this lingering odor in your home for quite a while, it will take some time to lift the odors from your carpet fibers so be patient. The last household remedy on this natural remedy list is a bit of an odd method, but some have reported its effectiveness. Vodka is usually something you drink and it contains ethyl alcohol. While vodka can elicit social events, it is also a good compound for eliminating odors from your home and carpeting. I recommend purchasing the cheap vodka for cleaning to save on money. Vodka is capable of destroying bacteria and it can even help eliminate odors all over your home. Start off by spraying an even amount of vodka on your carpeting, making sure to cover more heavily soiled areas with more vodka. Allow the alcohol to remain for about 15 minutes or so before drying. Once the vodka has absorbed the odors, dab the carpet with a paper towel to assist with drying (or allow it to air dry). Sprinkle a fine layer of baking soda to assist with odor elimination and drying and then follow this up by vacuuming the remaining mixture. The baking soda is mostly used to absorb the remaining vodka moisture from the carpet, but it also gives a little odor elimination boost. Many may ask how to get dog smell out of carpet, but you may have similar questions for the vodka solution as well. This is an effective method, similar to the vinegar option listed prior. As far as eliminating dog smell, it should do the trick, but there is a good chance that your home will smell like alcohol for a bit of time afterwards. Consider opening a window and letting natural air into your home to combat this smell. Nature’s Miracle is a product that every dog owner should have. It works as a powerful odor eliminator and stain remover, with only a small amount of time needed for cleanup. There are numerous Nature’s Miracle formulas around, but if you want to something that can zap dog smell from carpeting then the shampoo formula may work the best. First off, you need a wet vacuum in order to utilize this product. If you do not have one, you can rent one for cheap somewhere. Follow the directions of your wet vacuum and apply the shampoo to your carpeting according the product’s directions. Once you have applied the shampoo to your carpet and after you have finished the vacuuming of the mixture from your carpet, your carpet should be free from dog smell. It works well. This product contains bio-enzymatic compounds that lift odors from the carpeting. The only downside to the product use is that it takes some time and effort to use, but you should notice a fast result the moment you finish. Consider this a bi-yearly thing for your home if your dog has a strong odor. If you are interested in how to get dog smell out of carpet then this is a sure product. The last product on this list is much easier to use the Nature’s Miracle product. The PL 360 Odor Powder contains baking soda, moisture absorbers, and neutralizing agents that simply eliminate odors with ease. It does not contain any harmful compounds such as bleach or preservatives, but it does contain baking soda (which dogs should avoid if possible). The directions for this product are quite similar to the baking soda example listed above. It comes as a powder, so all you need to do is shake the powder over your carpet evenly. The product states that you should let the product remain in your carpet for only a few minutes, so keep this in mind. Once the odor is absorbed, vacuum the powder from your floor. It is best to repeat this process every time you vacuum as a way to collect all odors spread out over time. It is not quite as effective as Nature’s Miracle, but it is a cheaper method and much easier to work with. You will probably need to give it a few tries before the entire odor is vanished from your home, but this is to be expected with powders. Now that you have some information on products and ways on how to get dog smell out of carpet, it is essential to make use of what you can. It is certain that if you have carpeting you should have a vacuum, but it is important to have a strong and powerful pet hair vacuum to collect all hair and dander. In addition, consider the household remedies if you are reluctant to use products, but I really enjoy the use of the safe products listed above. In addition to the safe products above, check out more of my site for more pet products.